At Sunshine State Title, We've built our business on the belief that a local company is your best choice for personal service and first-hand knowledge of South Florida Real Estate. At Sunshine State Title, our focus has always been on serving our customers by conducting our business better, smoother and more efficiently than anyone else. Our constant goal is to set new standards, meet or beat those standards, and then raise the bar again. That is how we provide the quality service that continues to exceed our customer's expectations. 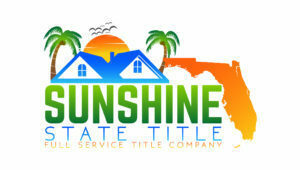 Attorney & Investor Owned Full Service Title Company Located in Palm Beach, FL.